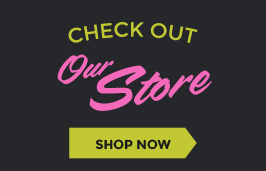 Make the Raspberry Stitch on needles or loom knit! 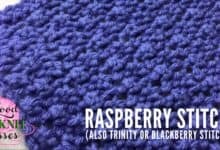 The raspberry stitch is a lovely stitch that creates a beautiful bumpy fabric resembling berries. 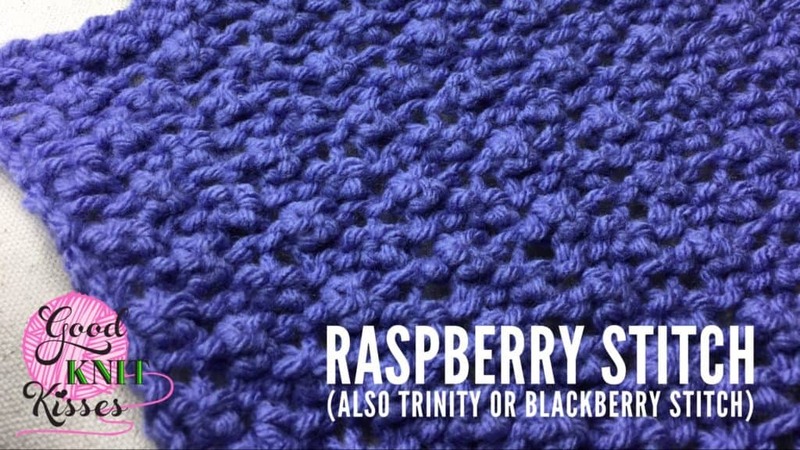 There are a few names the stitch has been found to go by which are the trinity, raspberry and blackberry stitches. Notes & video instructions below are how to create it on needles as well as on the knitting loom. Raspberry stitch (multiple of 4 sts +2) over 4 rows. Row 2 (WS): K1 (edge st), *(k1, p1, k1) in next st, p3tog; rep from * to last st, k1 (edge st). Row 4: K1, *p3tog, (k1, p1, k1) in next st; rep from * to last st, k1. Repeat Rows 1-4 until desired length ending on a Row 2 or 4. Row 2: P1 (edge st), *(p1, k1, p1) in next st, k3tog; rep from * to last st, k1 (edge st). Row 4: P1, *k3tog, (p1, k1, p1) in next st; rep from * to last st, p1. (p1, k1, p1) in next st: A 1 to 3 increase stitch worked over 3 pegs from 1 peg. Move the existing stitch to middle peg so that it is between two empty pegs. 1. Bring working yarn to the front of the peg just moved as though to purl. Insert loom tool above top loop on peg and pull working yarn up to make a loop. Flip loop over onto empty peg toward last stitch worked. Gently tug working yarn toward the back of the loom between the pegs to tighten stitch. 2. Bring working yarn to the front of the same middle peg as though to knit. Insert loom tool below loop on peg and pull working yarn down to make a loop. Make loop a little larger and hold with non-dominant hand. 3. On the same middle peg again, bring working yarn to the front of the peg just moved as though to purl. Insert loom tool above top loop on peg and pull working yarn up to make another loop; work toward the side of the loop on the peg since still holding the knit loop. 4. Hold both loops in same hand pulling upward to release the old loop off the middle peg. Place the knit loop on middle peg and purled peg on empty peg. Gently tug working yarn on both loops to tighten stitches. K3tog: For this pattern the K3tog is worked differently on Rows 2 and 4 depending on whether it is before or after the increase. It requires the stitches to be moved in a specific order for Row 2 and different unique order for Row 4. Peg numbers 1-4 refer to each 4 stitch repeat of the Raspberry stitch pattern. Row 2: Move loop on peg 3 to peg 4. Move loop on peg 2 to empty peg 3. Move loop on peg 1 to empty peg 2. Lastly, move loop on peg 3 to peg 4. Peg 2 will be the “middle” peg for the increase st. Peg 4 will be k3tog after increases. Row 4: Bring working yarn behind pegs 1 & 2. UK peg 3. Move st to peg 2 and lift bottom loop over top to work the stitch. Move st to peg 1 and work st. Move loop on peg 4 to peg 3; peg 3 will be the “middle” peg for the increase st.